JEFFERSON COUNTY —A jury deliberated just 40 minutes before finding a Kansas man and his wife guilty on Thursday of possession with intent to distribute nearly 15 pounds of methamphetamine, according to a media release from Colorado’s First Judicial District. 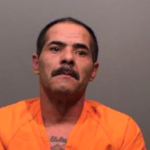 On January 2, 2018, Jose Chavez-Tellez, 49, and his wife were traveling eastbound though Jefferson County on I-70 when they stopped at a truck stop at Ward Road and 44th Avenue. After leaving the truck stop, Chavez-Tellez struck a curb, popping both tires on the passenger side of the vehicle. A Jefferson County Sheriff’s deputy noticed Chavez-Tellez backing eastbound in the westbound lanes of 52nd avenue with two flat tires, and the deputy stopped Chavez-Tellez to offer aid. The deputy found a large amount of methamphetamine in a shopping bag in the back cargo area of the car. There were 14.65 pounds, or 6,644 grams, of methamphetamine divided into 15, quart-sized Ziploc baggies. Jose Chavez-Tellez’s wife, Rhonda Chavez-Tellez, 52, was a passenger in the car. They live in Kansas and had driven to Los Angeles to pick up the methamphetamine. They were returning to Kansas with the drugs when they were stopped in Jefferson County. Jose Chavez-Tellez was found guilty of Possession with intent to Distribute a Controlled Substance. He will be sentenced on October 29 and faces a mandatory minimum of 8 to 32 years in prison. 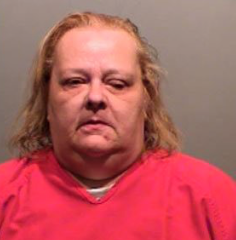 Rhonda Chavez-Tellez pled guilty to Conspiracy to Distribute Methamphetamine and on September 19 was sentenced to six years in prison.